Tender, delicate microgreens are chefs’ and food stylists’ garnish of choice. And though they can be tough to find in stores, they’re surprisingly easy to grow at home, since you only need to nurture them to the sprout stage. 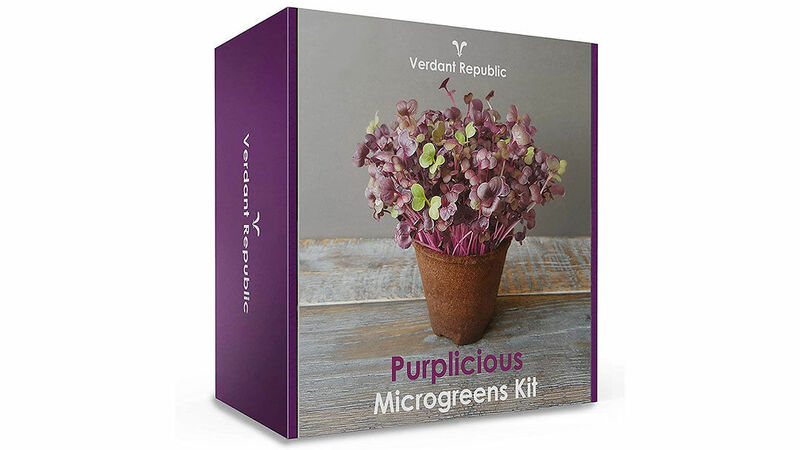 This kit from Verdant Republic makes it especially simple to grow 5 varieties of antioxidant-packed violet-hued microgreens, with everything you need in once box: seeds, biodegradable pots, compost-enriched soil, and labels.